Read what our customers are saying about the us! 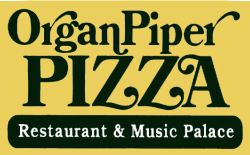 “Definitely a niche for people who want organ music with their pizza! Where else in the U.D. would you find it. The pros are that the pizza is actually very good and when Zach Frame plays, you get a really cool guy with enormous talent. It’s also the place where mom and dad (or grandparents) can set the little kids free to dance and jump around to the music." “There aren’t many restaurants, like this one, left in the U.S. We are lucky to have such a venue in Milwaukee! “I really liked the pizza here, it was a great execution of Milwaukee-style cracker-crust pizza. and musical acts played while you eat. But what if you built that place out on Highway 100? “Oh, and there is always music on there. If it’s an off-time, there is a player piano belting out numbers. If you’re there during prime-time you can expect to be treated to a live performance by an organist who has lots of love for the instrument. The organist from the Oriental Theatre? Of course! The Brewer’s organist?